Robert H. Gundry | Amazing Lookalike! On the left is Robert H. Gundry, Professor Emeritus of Westmont College, Santa Barbara. 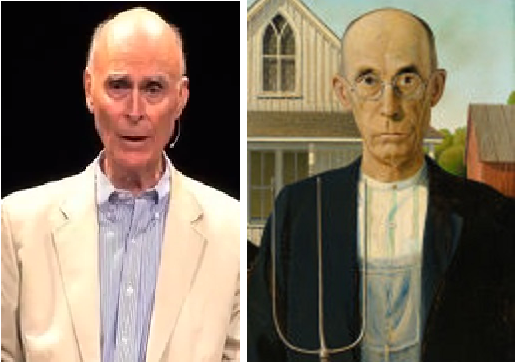 On the right is the farmer from Grant Wood’s American Gothic (1930), modeled on Wood’s dentist, Dr Byron McKeeby.